Rebounder trampoline or mini trampoline is a great home workout and it's a lot of fun for the whole family. 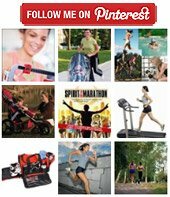 If you are looking to invest in a piece of good quality, yet affordable home workout equipment that will help you get in shape and be fun for the whole family, here are some of our favorite rebounder selections. 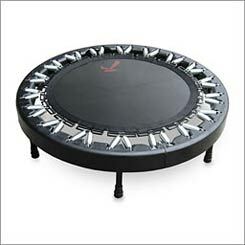 I have had my ReboundAir Mini Trampoline for two years and I exercise on it regularly. My son who is almost three spends hours every day jumping on it and inventing all kinds of games to do on it. Even my son's daddy who weighs about 250 pounds loves to jump on it and it supports us all very well. In fact all three of us have jumped on it together. Basically, the ReboundAir and Needak are the two top-of-the-line rebounders. It's actually kind of funny, if you do a google search on Needak vs Reboundair, what you'll mostly find is comparisons done by each of these companies and neither of them can really say anything bad about the other. The biggest complaints are that the competing company doesn't have as much material to come with it (which most of the time the material is confusing anyway, just get on and have a good time!) or they might dispute over who has the better endorsements. Overall, you will be happy with either one of these rebounders. I happen to have been able to get a better deal on the Reboundair and can attest to it's being able to hold at least 300 pounds because our whole family together weights more than 300 pounds and we've all been on the rebounder at the same time. The urban rebounder is not as good a quality a rebounder as the Reboundair or Needak. If you want to get a quality rebounder that will last a long time, you want to go with the reboundair or needak. However what people do really like about this rebounder is it comes with a bar that you can hold onto for balance while you're jumping. If that's important to you, or if you just want to get something cheap for now just to try it out, the Urban Rebounder has pretty decent user reviews. We like to turn on the music and start dancing, jumping, bouncing, whatever we feel like. 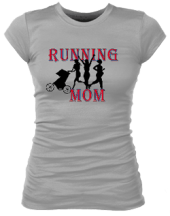 It is great for cardio, weights and ab workouts. And here are some ab workouts that you can do on the rebounder.